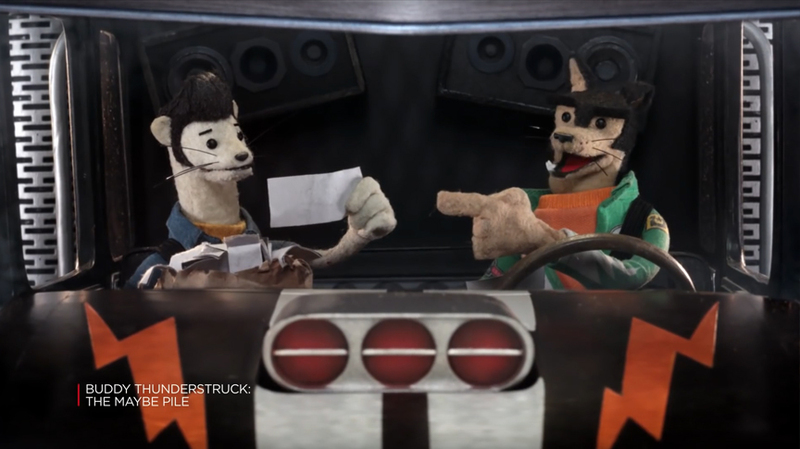 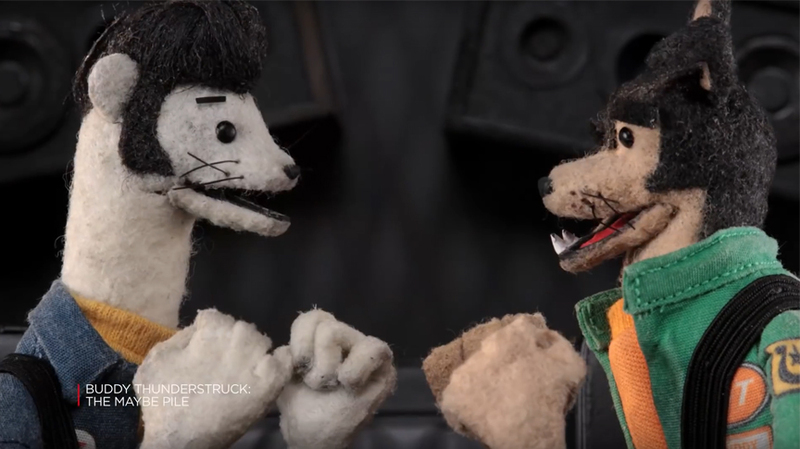 "BUDDY THUNDERSTRUCK: THE MAYBE PILE"
Champion truck-racing dog Buddy and his handyman ferret pal Darnell test potentially awesome (but mostly terrible) ideas in this interactive adventure. 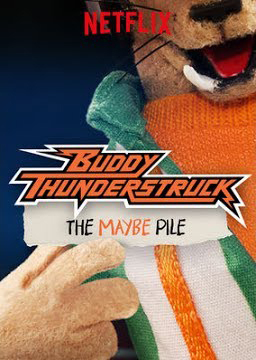 • Buddy Thunderstruck is a Netflix series that chronicles the adventures of Buddy, the fastest dog on eighteen wheels, as he navigates the speed-hungry town of Greasepit. 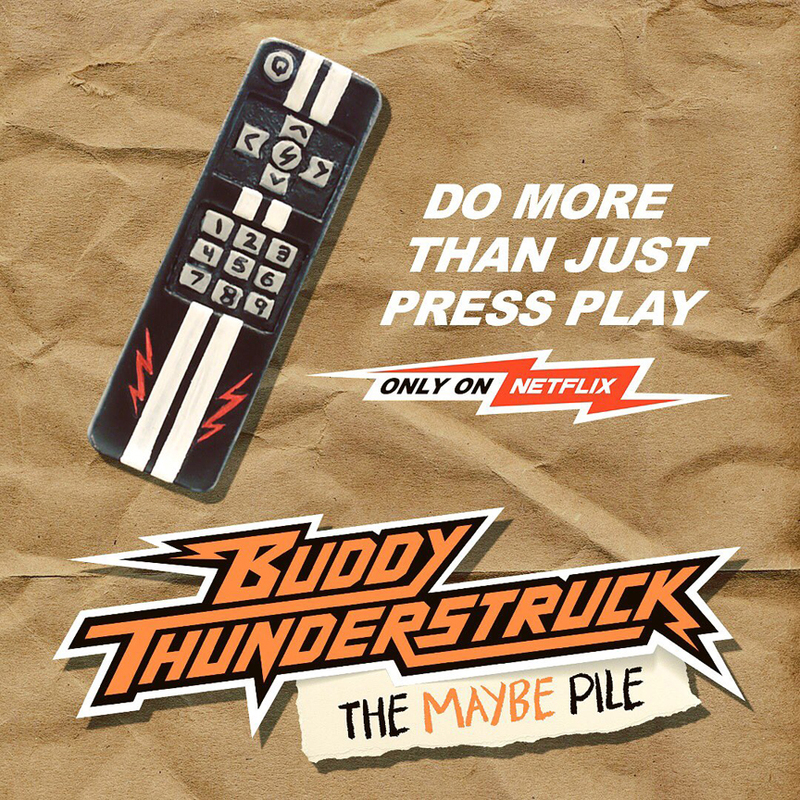 Buddy Thunderstruck: The Maybe Pile is a special interactive episode that is available to watch on Netflix (subscription required). 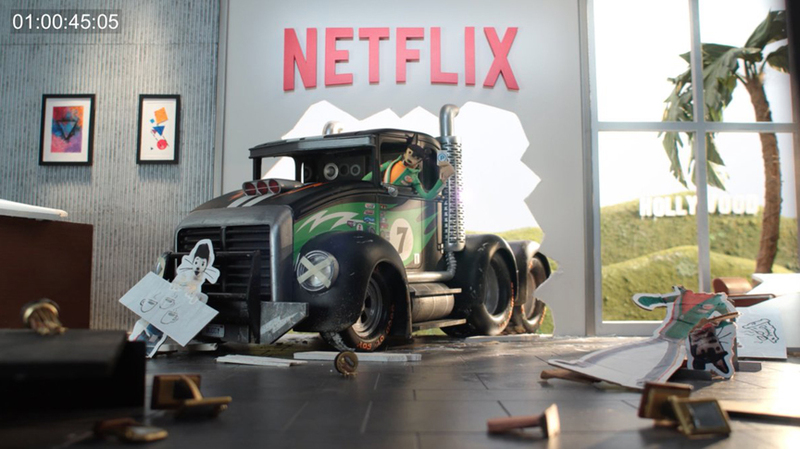 • Stoopid Buddy Studios also makes the shows Robot Chicken, SuperMansion, and Hot Streets. 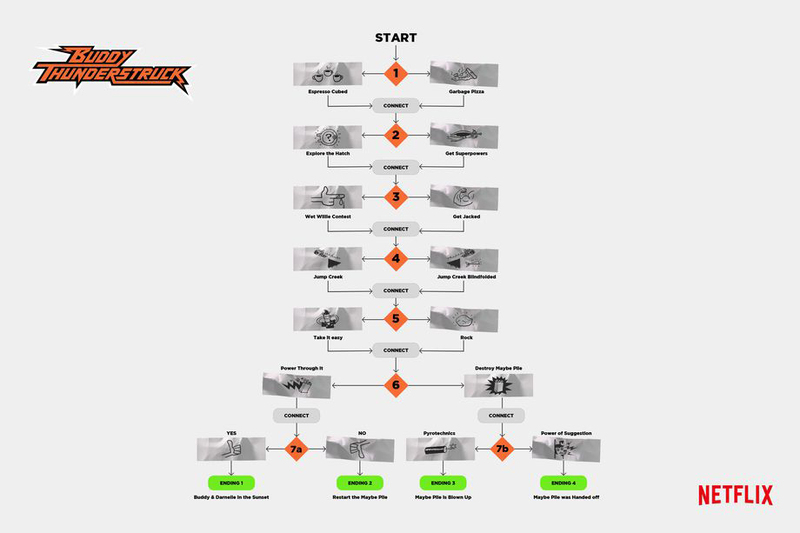 • Visit the developer's Official Website. 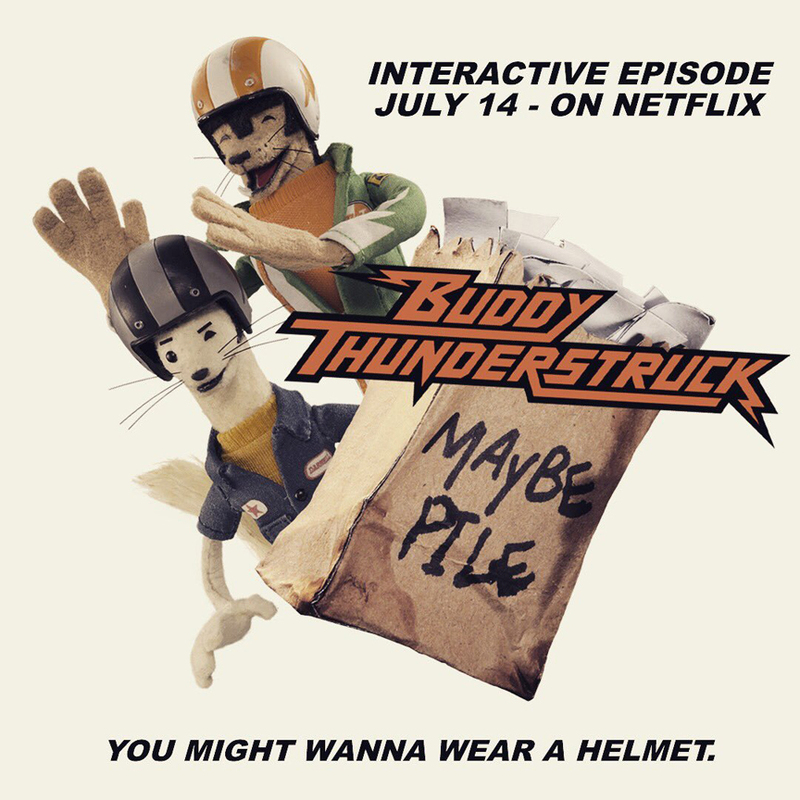 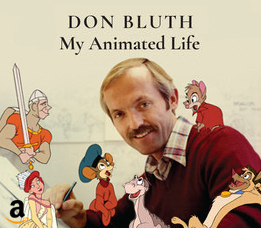 • Visit the Official Page at Netflix.